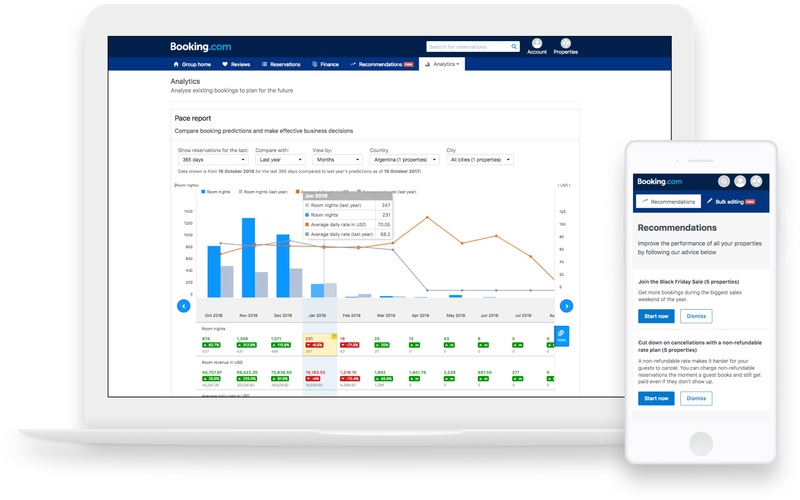 If you want to manage your properties directly on Booking.com, you can access our extranet from wherever you are, using either our mobile Pulse app or desktop extranet. If you want to manage your rates, availability, and reservations directly through a channel manager, we have the systems in place to help you quickly connect it. Our pricing structure is based around the idea that the price you set is the price guests pay. We don’t add anything on top of the price you set, so you can price your property competitively and receive more guests. We're unable to display commission for your location at this time, but this does not impact your ability to list your properties.